With so many people getting into a debt trap usually due to indiscriminate spending on their credit cards, there is a lot of curiosity regarding debt consolidation as it has been widely touted as the solution to all personal debt concerns. While you certainly need to keep a sharp eye out for scammers, and stuff that you can do on your own, there could always be certain situations when debt consolidation is the appropriate answer to the debt problem. However, at all times, it is wise to be careful and keep in mind certain key things before signing on for a debt consolidation loan. What Exactly Does Debt Consolidation Entail? What you need to understand very clearly that even after you have managed to consolidate credit cards debt, the exercise in no way fixes your debt problem. The amount of the debt remains exactly the same though you can get some relief if you can retire the debts with very high rates of interest. However, you need to keep in mind that consolidating debts with a mix of low and high interest rates could easily mean that you end up paying more interest if you have a number of loans that carry low rates of interest like student loans. In most cases when people consolidate their multiple debts, they negotiate a longer tenure to bring down the monthly due to make it more affordable. While the idea sounds really great, you need to reckon with the reality that you will keep on paying for a longer time than before, and also end up paying a lot more interest in dollar terms. Just because you have consolidated all your loans into one does not mean that the problem of how the debt cropped up gets solved. If you are spending more than what you are earning, there’s simply no way that you will prevent yourself from landing up in more debt soon. It is necessary for you to change your spending and savings habits drastically to emerge debt-free in a reasonable period of time. If after a through scrutiny, you discover that consolidating your debts may not quite be the ideal solution for you then you could try another method that has worked wonders for a lot of people. Rank all your individual debts in order of their outstanding balances starting from the smallest one. After allowing for your subsistence expenses, pay the minimum monthly dues on all the debts so that you do not attract late fees or penalties for missed payments. Apply any surplus money to paying off the smallest debt, and then proceed to roll over the money to settle the debt next on the list. With every successive settlement, your confidence will grow, and soon you will find that you have successfully managed to combat your debt worry. During this time, it may help to take on some additional jobs to generate more surplus income. Author bio: James Halliday works for a leading personal finance consultancy firm. He has authored a number of articles on how to effectively consolidate credit cards for achieving a debt-free status faster. 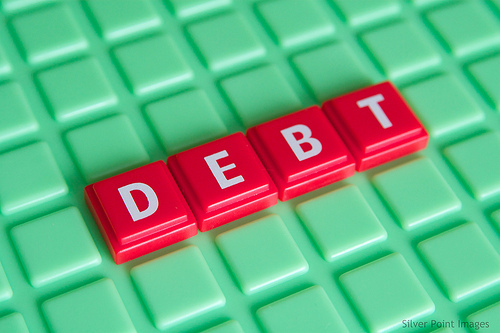 Thank you James for sharing useful article on debt consolidation. There are many peoples getting trap into debt due to the spending of their credit cards. There are several points in the article that you should keep in mind before signing debt consolidation loan. Debt consolidation aggregates all the individual debts and you can take on a single loan that can be used to pay off all the other loans. It is necessary for you to change your spending and savings habits drastically to emerge debt-free in a reasonable period of time. Overall the article is nice and very helpful. Keep writing such articles in future. Well done! Nice article! There are millions of peoples in the world who are trapped in the debt due to credit cards. You should keep in mind several things mentioned in the article before signing the debt consolidation loan. You can also take help of online debt consolidation reviews for detailed information. It is necessary for you to change your spending and savings habits drastically to emerge debt-free in a reasonable period of time. Thank you James for sharing this article. Hope to see more unique articles like this in future from you. Great work.